Microgaming specialists never quit surprising their players with a variety of slot machines on the most unusual subjects. 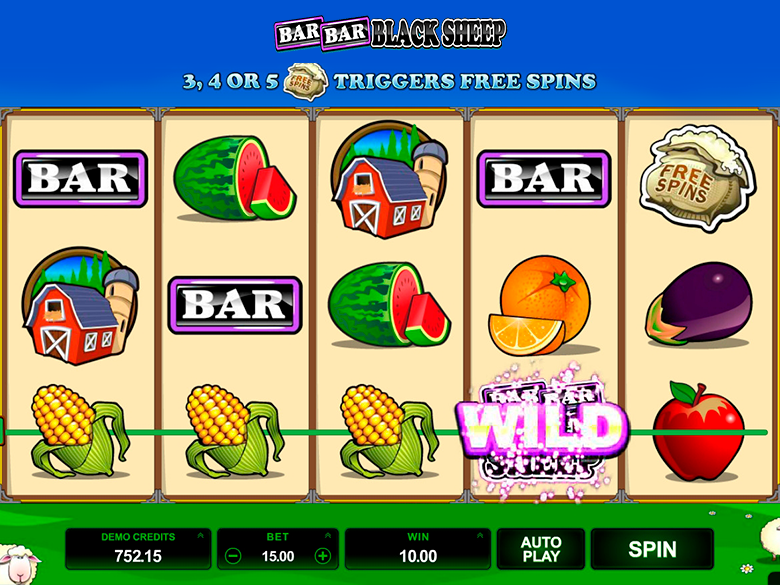 They have this fun video slot called Bar Bar Black Sheep 5 Reel which describes farming. 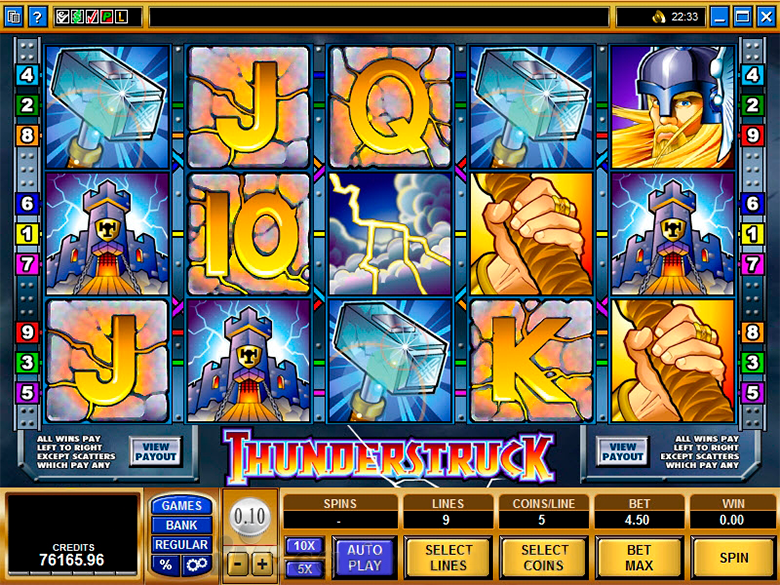 Without doubts you may call it a video slot with the most unusual name. It’s hard to find a slot with similar name in online casinos! But this model stands out not only with its original name, but also with bright graphics. Bar Bar Black Sheep – 5 Reel is an improved version of the Bar Bar Black Sheep video slot released by the company earlier. They added numerous prize options and increased coefficients to the new version. Good news is that you may play both for free and real cash in this slot. 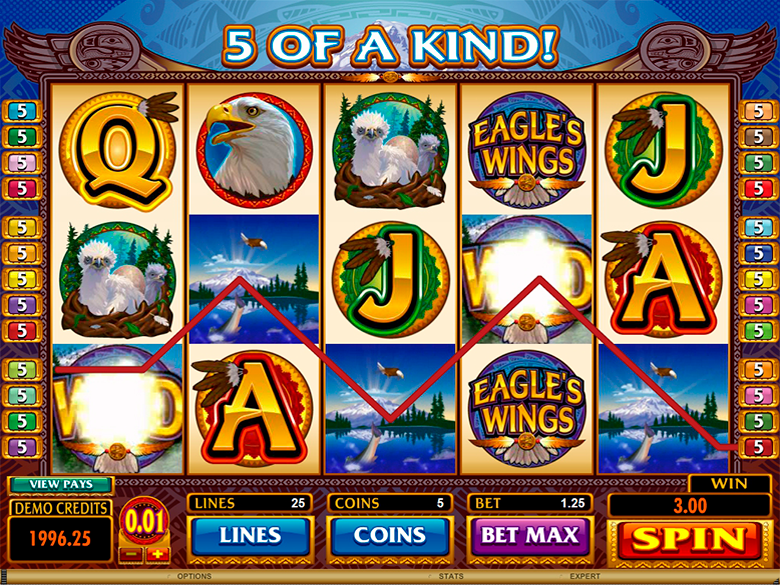 This slot has five reels, fifteen lines for forming combinations and the same number of icons on the main screen. All fifteen lines are active in each spin and it is impossible to change their number. Rates for each position are also equal. You may bet twenty coins for each position with a nominal value of 0.01, 0.02, 0.05, 0.10, 0.20, 0.25 or 0.50 CAD. This means that rate range per spin may amount to fifteen cents to one hundred and fifty CAD. Bar Bar Black Sheep 5 Reel will show you basic and special characters, free spins with tripled payouts and additional bonus feature. Thematic icons include funny lambs (white and black), fold, Bar classic symbol, a lot of vegetables and fruits. Prize symbols: wild and scatter. Logo of the slot serves a wild symbol. It may perform several functions simultaneously: it forms its own winning combos and replaces missing icons, with the only exception of scatter. Bag with sheep’s wool serves as a scatter symbol. It runs a series of free spins, whose number depends on the number of scatters. It is the casino that places bets for a punter during additional spins. Simple symbols become advantageous when several identical icons locate on the active line in the form of a continuous sequence. The line should begin with first left reel. Most valuable option on each line is deemed as winning. The win size is defined by: line rate and multiplier, provided for the obtained combo. In case of several continuous chains in the same round, player’s credits shall be summed up. Bar Bar Black Sheep 5 Reel does not have equal chances game. Bar Bar Black Sheep 5 Reel Mobile slot is available for all types of devices: iPhones, Android, Blackberry. 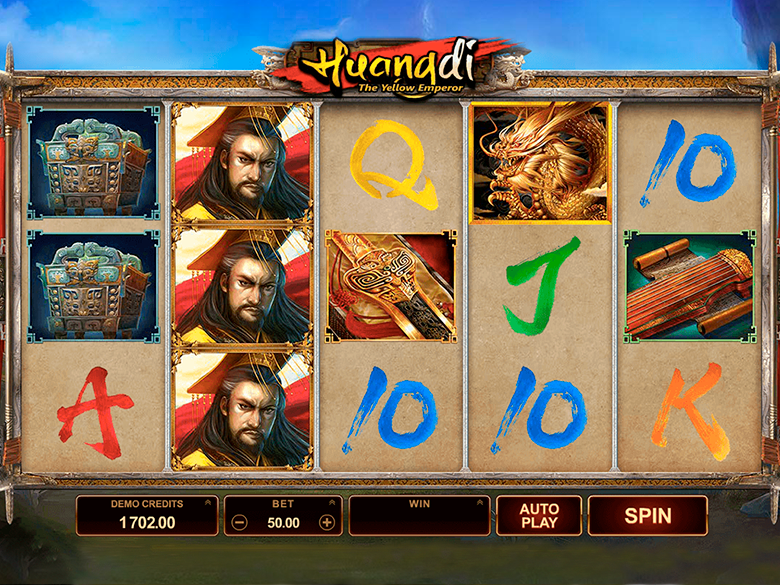 It can be played in instant play mode or in online casinos. playcanadacasino.com proposes you to play this cool video slot in good quality with high betting rates. Number of free spins varies from 10 to 20. In case a gambler has 3 scatters on the reels, he will be awarded 10 free spins, in case of 4 and 5 scatters – 15 and 20 spins, respectively. When playing free spins, you may notice BAR symbols on the reels. In case two of them plus black sheep icon appear on one active line, you will receive a coefficient increased to 999 payouts per combination. It is the system that randomly chooses the exact multiplier. Lambs are considered thematic icons of the slot. However, you will also see images of vegetables and fruits appearing often on reels. To sum up, every Microgaming development pleases the army of online gamblers, especially if it is an updated version of a popular slot. Not only farmers will love this slot, but also those who enjoy interesting storylines and good wins. Everyone will definitely enjoy the fun sheep. playcanadacasino.com offers Canadian gamblers to play Bar Bar Black Sheep5 Reel in good quality with best bet rates.